What we are witnessing today is the most dramatic fragmentation of the publishing industry to occur within the last 500 years. And when established industries fall apart, something has to rise out of the ashes. Both nature and business abhor a vacuum. As traditional publishing falls apart, a vacuum is being created. People still want to know the news, and they still want to find out how to get hold of a squirrel-proof bird feeder. We used to be slaves to big media. We would watch their programs on TV, we would buy their magazines and we would read their books. But throughout that experience we would learn only what they decided we should learn. They would cover only those topics which they felt would draw the biggest audiences or sell the most copies of their magazines or books. When it came to smaller, niche topics, old media didn’t address our individual needs, because to do so didn’t fit with the economies of scale they depended on. The Web has turned that math upside down. With the Web it is the reader who is in control and the reader who decides what information they want. Old, traditional media have lost control. Old media can no longer determine what it is I should learn about gardening, for example. Their editors can no longer decide which gardening tips I should receive in the spring. By going to a search engine like Google, it is the reader who becomes the arbiter of what he or she wants to know about. There may be nothing in any major publications this week about organic slug control. But I can decide to find out about exactly that, simply by doing a search for organic slug control in a search engine. And I can decide to do it at the time of my own choosing. The simple act of an individual going to Google and deciding for him or herself exactly what it is he or she would like to find changes everything. As we will see in later chapters, your task as a writer at home is simply to identify the niche subject topics people are interested in, but which aren’t being adequately addressed by larger publishers. Old media is struggling with the fragmentation of attention. The Web has also changed the way in which people spend their time. Fewer and fewer people are devoting hours on end to reading a single newspaper or book. Our attention is being fragmented in ways that were never possible just a few years ago. Take a look at a friend or family member when they are online. Their attention skips from e-mails to websites to social media platforms at an incredible speed. We are becoming self-directed browsers of information, having a taste of a little bit of everything. 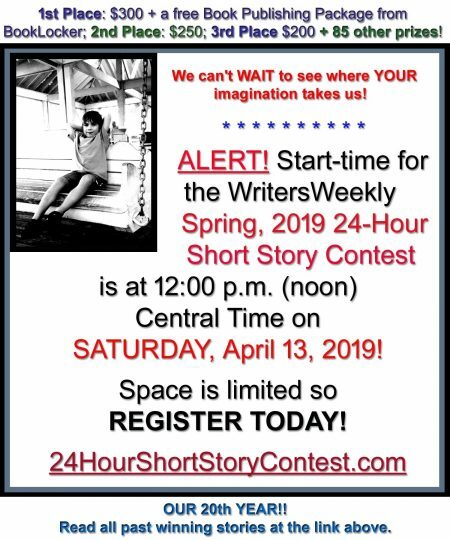 During the course of a session online we might access our favorite news site, then skip over to YouTube to watch a three-minute video, then quickly open our Twitter page, then post a photo to our Facebook page, and maybe add it to our Flickr page. After that we may play an online game, chat with friends through instant messaging, and then get interrupted by someone sending us a text message or photo on our cell phone. We are no longer persuaded that the best and most interesting use of our time is to sit in front of the TV and watch a 60-minute documentary on CBS, interrupted by inane advertisements. We would rather make our own choices and apply micro-attention to a very broad range of topics and services online. Big media has a huge problem with micro-attention. Its business model simply can’t accommodate it. In particular, that business model can’t survive within an environment in which the reader or viewer is in control and making his or her own choices about what to do, what to see, what to read, and how much time to remain engaged. Say hello to new publishing. The Web has changed more than just the ability of someone to write something and upload it to a blog or a website. 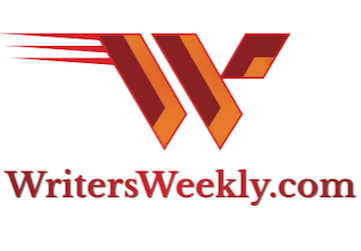 The Web has spawned a huge range of different publishing platforms, each of them designed to allow writers to bypass the old ways, ignore the gatekeepers and middlemen, and take control of the entire publishing process. Take this book for instance. It wasn’t published through a traditional publisher. I have taken that route in the past and the outcome was that my publisher never bothered to put much effort into marketing the book, so I never made much of an income from it. Essentially, they simply provided proofing, printing, and distribution services. I no longer need a big New York publisher to do that for me. Instead, I worked with Splinter Press, which is an imprint of the POD service company BookLocker.com. They took care of the design, layout, and printing of the book for me. Plus they handled and continue to handle distribution to online stores like Amazon. Between them, BookLocker and Amazon do everything my old publisher did. And the proportion of revenues I receive is about three times as much. You can do the same. Anyone can. We don’t need traditional publishers any more. When we do use them, the lion’s share of revenues goes to covering their vast, archaic overhead structure. Or maybe you would prefer to publish and distribute your own print magazine. No problem. Check out MagCloud.com. 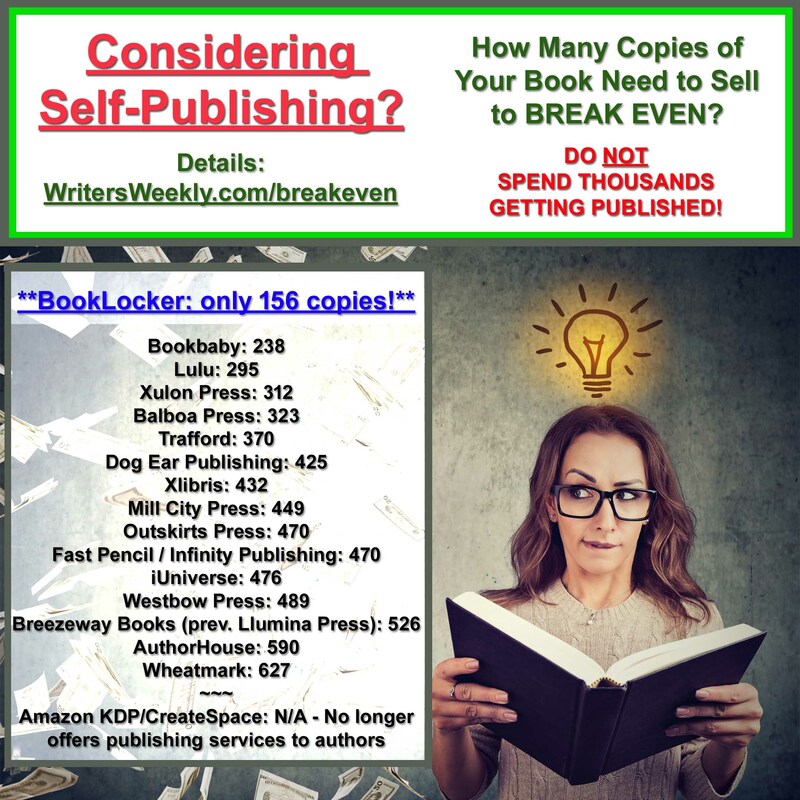 If you are not interested in creating a physical book or magazine, publish your work as an e-book and list it at eBooks.com and BookLocker.com. 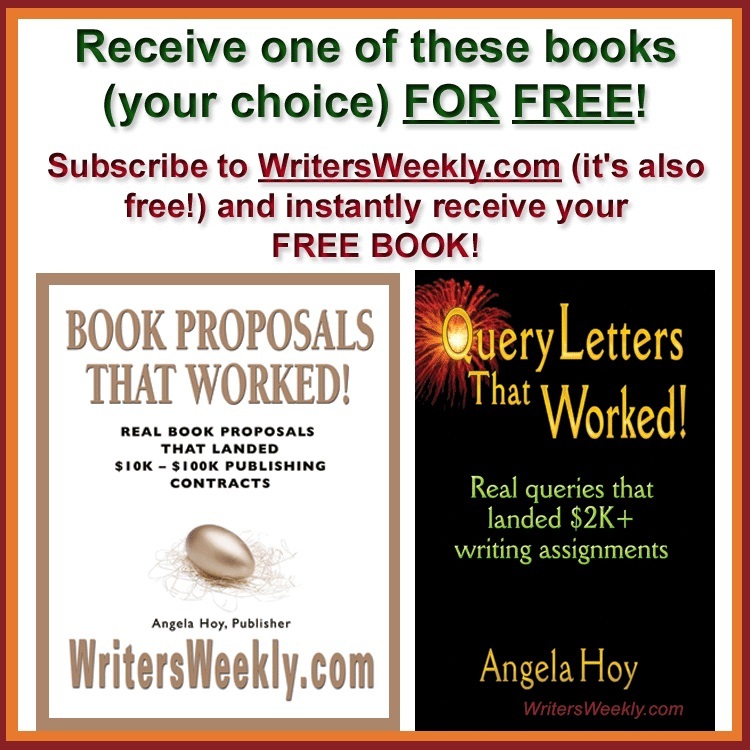 Or perhaps you would simply like to make your books, reports, reviews, or articles available for free, and not even want a website of your own. Go to Scribd.com. If you want to make TV shows or your own radio show, you can do those online too. It’s little wonder that traditional publishers are shaking in their boots and wondering what’s coming next. As a writer you now have a wide array of platforms to use. The Web is an extraordinary enabler. It does away with the middlemen, it removes the gatekeepers, it takes an industry that survived on top-down control and puts control directly into the hands of readers and writers. Welcome to a world where failure doesn’t cost much. When a book is printed by a traditional publisher, huge amounts of resources and money go into the production and distribution of that physical book. If sales are disappointing, the cost of that failure is significant. Not so when you publish through the Web. When it comes to publishing through a website or blog, the costs are either zero or very close. So if you do pick a topic for a website and then discover, six months later, that not enough people are interested in what you are writing, just pull the plug. You will have lost some time, but not much money. The low cost of failure means that as writers we can experiment. It also gives us a huge advantage over larger media companies. Large media companies have to do some scary math, make sure there is a large audience ready and waiting for them, and hope they can attract enough advertisers to fill the coffers. The cost of failure is big, and that creates a work environment based on caution. The result, as we see on our TV screens and in newspapers and magazines, is mediocrity. Taking the safe path means taking the boring path. Risk becomes a dirty word. A culture based on risk-aversion holds you back. But when you take the opposite path, and embrace risk, your chances of creating something both remarkable and welcome increase exponentially. Consider the cost of publishing your own website. – Domain name, per year, less than $10. – Website hosting. Between free and $20 a month, depending on the service you use and the functionality you want included. Your top-end price for being an online publisher with your own website is $250 a year. If that sounds too rich for you, you can always publish your writing through a free blog service like Blogger.com or WordPress.org. Either way, thanks to the Web, you can now make money by writing online at almost no cost and no risk. Are you beginning to see the gap, and the opportunity? Traditional publishers, both offline and online, focus on the big topics, because they need a big audience to make money. Traditional publishers are risk-averse and cautious about trying anything new. Traditional publishers are hobbled by their huge cost structures. They can’t risk focusing on micro-topics. Traditional publishers are losing advertising dollars hand-over-fist as companies move their marketing dollars online. Traditional publishers are rarely passionate. Traditional publishers are very slow to act and execute. In an article for the New York Times, journalist David Carr wrote recently about a huge launch party, 10 years ago, for the now defunct magazine, Talk. One other thing that is killing all big media is that they no longer know how to talk to their readers. For hundreds of years we became used to the idea of getting the information we needed from qualified experts. We just assumed that an article which had passed through the hands of a professional editor was better than one that had not. If we wanted to get reliable information about some arcane topic, we looked it up in Encylopedia Britannica and felt reassured when it turned out the entry had been penned by a Nobel Prize winner. If we needed insights into how we could improve our business, we were likely to ask someone with an MBA. This attitude to learning and exploring our world in general had almost become embedded into our DNA. If the author didn’t have the correct job title or letters after his or her name, then we took the information with a pinch of salt. Traditional publishers knew this and took advantage of it. They presented themselves as the experts, the arbiters of quality information. They gave us only the information they chose to select, but at least they gave us what was perceived as being reliable information. The publishers and editors were in control and we looked up to them as trusted patriarchs. That has now changed. We may not think much about it, but the Web generation is far less impressed with a PhD than it was 10 years ago. We are no longer looking just for information that has a formal stamp of approval. Our taste in information has changed. We are more likely to turn to Wikipedia than to Encyclopedia Britannica. Let’s take a closer look at Wikipedia, because it illustrates very well how things have been changing. As you probably know, Wikipedia is open to everyone. You can go to the site right now and change the entry it has for J.F. Kennedy. If you want (and I’m not encouraging you to do so) you can change the entry to say he was born in Iceland. A wiki is a site that enables any visitor to make editorial additions and changes to the site. You can do it from within your browser. There is no boss. No editor in chief. No filter. Not even an approval process. You might think this means that Wikipedia entries are hopelessly inaccurate. That is a reasonable assumption because we have been raised during an era in which we were taught that only qualified experts in positions of authority could provide us with trustworthy answers. Interestingly, the assumption that the removal of the gatekeeper will result in lower quality and more errors is incorrect. Wikipedia is remarkably accurate. And if you did write that JFK was born in Iceland you would find that your edit would be very quickly corrected, often within a matter of minutes. Wikipedia has a number of things in its favor. First, if an error creeps in, Wikipedia self-heals very, very quickly. The knowledge of the masses is vast, and it is applied quickly. However, with Encyclopedia Britannica an error can be corrected only when the next edition is published and printed. Second, Wikipedia has many, many more entries than Encyclopedia Britannica. This is made possible by the fact that there is no limit to the number of “volumes” one can print, nor any printing costs associated with the total number of entries. When you take out the cost of cutting down and processing dead trees, there really is no need to limit the number of entries. This again points to the fundamental difference between old media and new media. With Encyclopedia Britannica there are editors who decide which information should be included and which information isn’t important or interesting enough. New media doesn’t draw that line. Even if an entry is interesting to a total of five people globally, one of those five can write the entry for Wikipedia. The other four can then read, edit and add to it. This movement from trusting the writing of experts only to trusting the information created by the expert next door is having a profound impact. And the wider the door opens for people like you and me to share our knowledge, insights, and opinions, the greater the opportunity we have to make money from what we write online. Quite apart from the impact of the growth of the Web, big media has been doing a great job of shooting itself in the foot. The news media has not been doing a very good job of building our trust. The concept of the media as the Fifth Estate was once central to its authority. We trusted national TV news, newspapers, and magazines because we felt we could rely on them to dig deep and expose the truth. A prime example of this was when the Washington Post wrote about Watergate and was ultimately instrumental in the fall of Richard Nixon. That’s the kind of thing we wanted the media to do. They were our eyes and ears, our conscience and our sword. Fast forward to the run-up to the last Iraq war and you see the media playing a very different role. Where were the tough editorials? Where were the investigative reporters? Big media no longer seems to be there for us when we want tough questions asked and answered. It is little wonder that online new sources, outside of big media, have been growing in popularity. These multiple threads combine to put the power of writing into YOUR hands. You might well be thinking this chapter points to a legitimate change in how the Web generation looks for and finds information, but still can’t accept that you could become a profitable writer online yourself. Maybe you think you’re not smart enough. Maybe you believe that there is nothing you know enough about. But the thing most likely to be holding you back is that you are still attached to the old paradigm that says you have to be an accredited professional in order to presume you are worthy to be published. It can be tough to break out of that mindset. But as I have mentioned, I have no professional background in coffee, but still have a website on that topic. Ellen Ferlazzo, who also writes a website part-time, isn’t a food scientist, but she still writes about low-cost meals on her site CheapCooking.com. Remember, when people look for information on the Web, they are no longer filtering results and knowledge based on the formal qualifications of the writer. The Web has changed that. Nick Usborne is a leading expert on writing for the web. For the last decade he has been advising some of the world’s largest companies on writing their websites. More recently, he has been using that same expertise to help individuals make money by writing websites of their own.